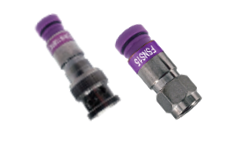 F-Conn RGB/Mini Coaxial Compression Connectors are available in two sizes: RG15 (22-24 AWG) purple and RG1 (25-26 AWG) orange. 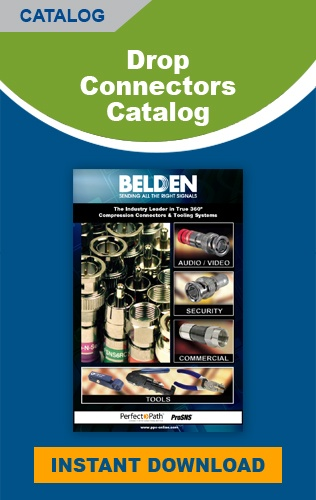 Multi-piece connectors are designed for solid center wire or stranded cable. One-piece Mini connectors are for solid center conductor wire only, allowing installers to save time while retaining quality.